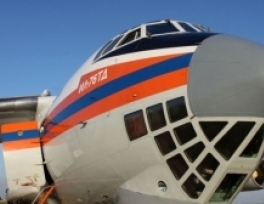 "It has been decided to distribute the oranges between orphanages of Moscow and the Moscow region"
A Russian Emergency Situations Ministry plane will deliver a new batch of humanitarian aid to Syria on Tuesday and Syria will reciprocate the gift with 20 tonnes of oranges, Emergency Situations Ministry international affairs department deputy director Alexander Tomashov said. 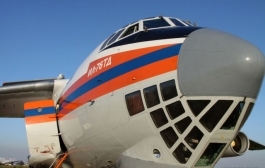 "A plane of the Russian Emergency Situations Ministry will bring more than 30 tonnes of humanitarian aid to Syria on April 22, including warm tents, blankets and food," he told Interfax. On the way back the plane will take aboard 20 tonnes of oranges, a gift from Syria. "It has been decided to distribute the oranges between orphanages of Moscow and the Moscow region," he said.